Brain and spinal cord injuries can be permanent and leave a serious impact not only on the lives of the injured but on family members as well. Many times such injuries are caused due to the fault or negligence of others, including playground accidents, automobile collisions, construction site accidents, or birth injuries. Such incidents can affect the victim’s cognition, physical abilities, and emotional function. To receive compensation for personal and physical loss due to brain or spinal cord injuries caused as a result of the negligence of a third party, it is necessary to hire a competent and specialized injury legal representative. A brain and spinal cord injury lawyers specialize in the fields of medicine, neuroanatomy, rehabilitation, and life care planning, and is well versed in medical law. This expert lawyer will help you get financial compensation for the loss suffered. 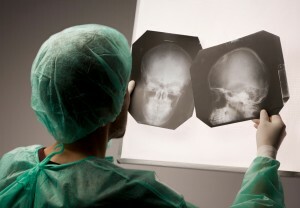 Brain injury lawyers have experience working in the field of neurological injury as well. These attorneys understand the causes, symptoms, and effects of such injuries as well as the physical, economic, and psychological impacts of brain and spinal cord injury on the victim. Their proven track record of experience and success in dealing with cases of brain and spinal cord injury makes them your best option for obtaining compensation to cover medical expenses, rehabilitation costs, supplies and equipments, and travel expenses. Spinal cord injury lawyers are renowned for delivering substantial spinal injury compensation on behalf of the victims. For a free consultation on brain and spinal cord injury compensation claims and all legal issues associated with it, call Martin Stanley at 310-399-2555. We will provide you with legal advice and fight with you for justice in your injury case.